The key to dental health is ongoing preventative care, good oral hygiene, and regular checkups. The American Dental Association recommends you see your dentist at least twice a year for a comprehensive dental exam. Maintaining your oral health is crucial in avoiding pain, tooth loss and expensive restorative dentistry procedures. Most people are familiar with the typical dental check-up visit. Our dental hygienist will clean your teeth, do an evaluation, and sometimes take X-rays. Then Dr. Cancelliere will check the X-rays and your teeth for signs of decay, check your gums for changes, and check for signs of oral cancer or other diseases. Our focus is always on you, our patient. 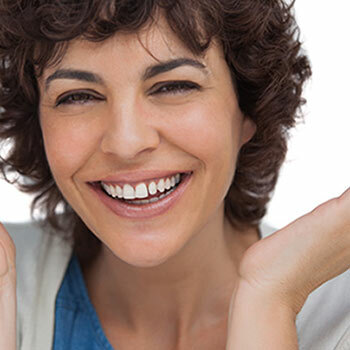 At The Dentistry in Naples, we do our best to make your regular checkups fast, gentle, and fun. Why does dental routine care matter? One fact you may have missed! Regular dental visits for checkups are important because they can help spot dental health problems early on when treatment is likely to be simpler and more affordable. They also help prevent many problems from developing in the first place. Take and examine diagnostic x-rays: Necessary to find decay, tumors, cysts, and to check for bone loss. Screen for oral cancer: Check the face, neck, lips, tongue, throat, tissues, and gums for any signs of oral cancer, using our Sapphire Plus LD machine. Examine existing restorations: Check current fillings, crowns, and other restorations. Cleaning and Protection – Professional Dental Prophy or Full Mouth Debridement – Which One Do You Need? Click here to learn more.